NCANDA Duke is located at the Duke University Medical Center in the Department of Psychiatry and Behavioral Sciences. 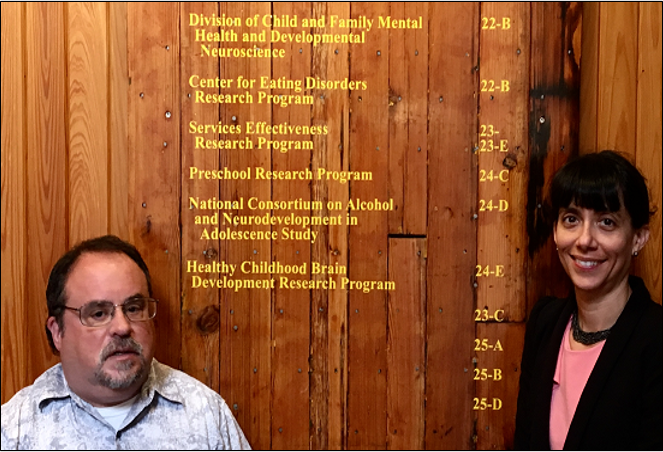 Our research group studies adolescent substance use disorders, including etiology, prevention, treatment, consequences and long-term outcomes. For NCANDA Duke, we are working with the Transdisciplinary Prevention Research Center at the Stanford School of Public Policy to recruit subjects through a random sampling of students in the North Carolina Department of Public Instruction system using mailings. Our neuroimaging center, the Brain Imaging Analyses Center (BIAC), is located in the School of Medicine. In addition to the core measures, NCANDA Duke will collaborate on two supplemental studies. We will collaborate with NCANDA Pittsburgh in a study utilizing functional MRI to examine cerebral activation during a reward modulated anti-saccade task to study alcohol effects on reward responding and behavioral inhibition. We will also collaborate with NCANDA UC San Diego in a recovery protocol whose aim is to examine the degree to which targeted heavy drinking related neurocognitive and brain integrity deficits remit over 4 weeks of monitored abstinence. Michael D. DeBellis M.D., M.P.H. - NCANDA Duke Principal Investigator. Dr. DeBellis is a Professor of Psychiatry and Behavioral Sciences at Duke University. Kate Nooner, Ph.D. - Co-Principal Investigator. Dr. Nooner is an Associate Professor of Psychology at the University of North Carolina, Wilmington. James Voyvodic, Ph.D. - Co-Investigator. Dr. Voyvodic is an Associate Professor of Radiology at Duke-UNC Brain Imaging and Analysis Center. Scott Huettel, Ph.D. - MR consultant. Dr. Huettel is a Professor of Psychology and Neuroscience at Duke University. Sarah Reaves, M.S. - Clinical Research Specialist Sr.
Michael D. De Bellis, M.D., M.P.H..
Michael D. De Bellis, M.D., M.P.H.